BRP recently honoured its distributors with the 2013 Distributor of the Year Award. The trophies will be handed out at the next distributor meeting. 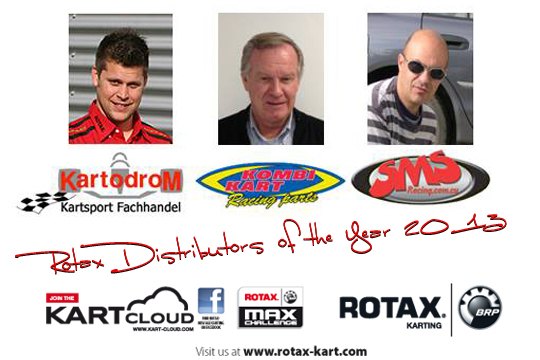 BRP recently honoured KARTODROM from Germany, KOMBIKART b.v. from the Netherlands and STELIOS MARCOU & SONS LTD from Cyprus with its 2013 Distributor of the Year Award.